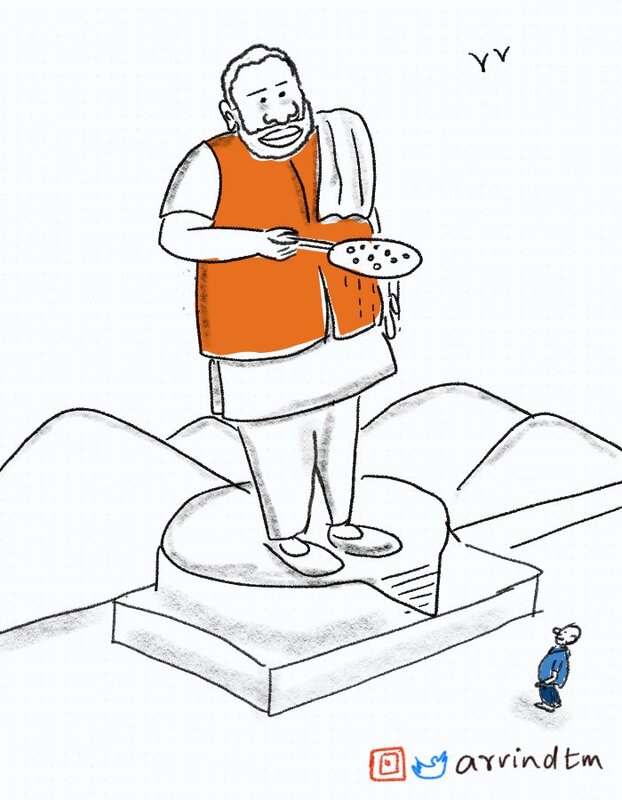 With reports suggesting that unemployment rate in India touched a 45-year high, Aravinda Tegginamath takes a jibe at Prime Minister Narendra Modi, highlighting his ‘pakora selling’ advice to unemployed youth with an illustration of a statue of the PM folding a skimmer. 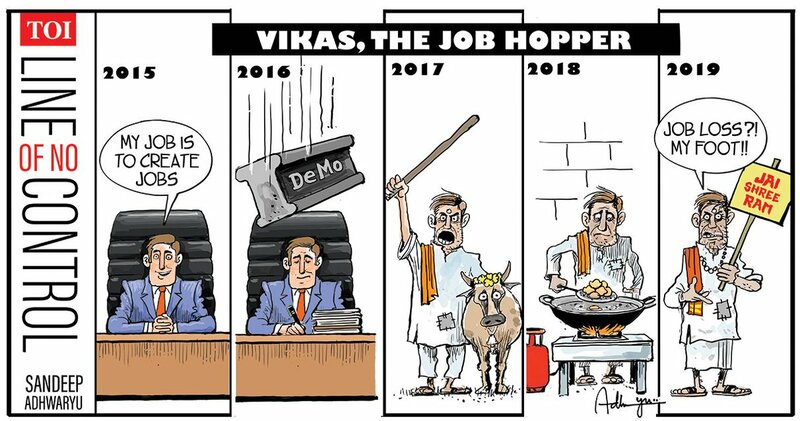 Sandeep Adhwaryu mocks the changing stance of the BJP government as it failed in creating jobs over the last five years. 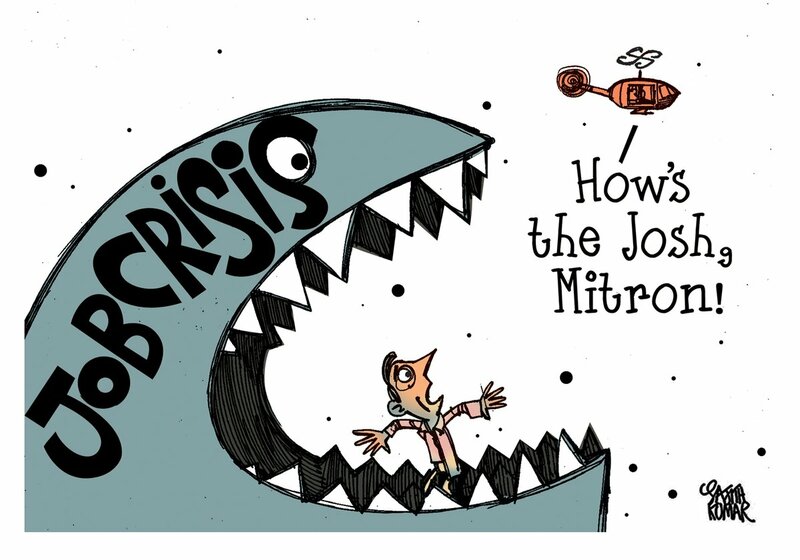 Sajith Kumar also highlights the unemployment ‘wave’ with a depiction of PM Modi in a chopper trying to boost the morale of the unemployed youth. 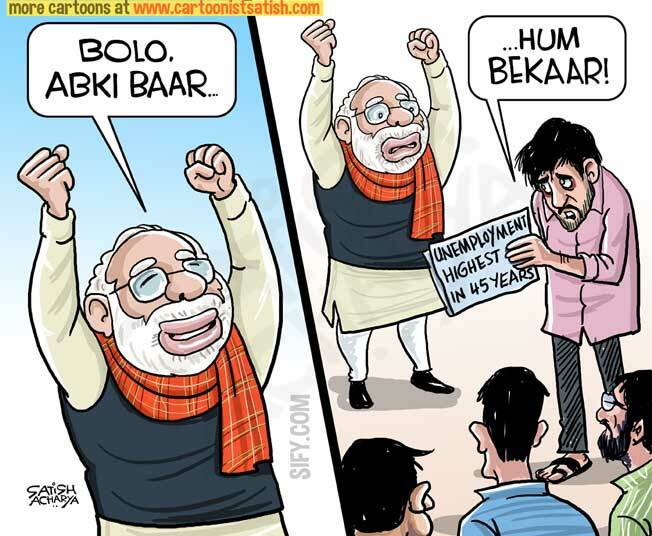 As the unemployment rate touches a 45-year high, the youth of the country are despondent, suggests Satish Acharya. 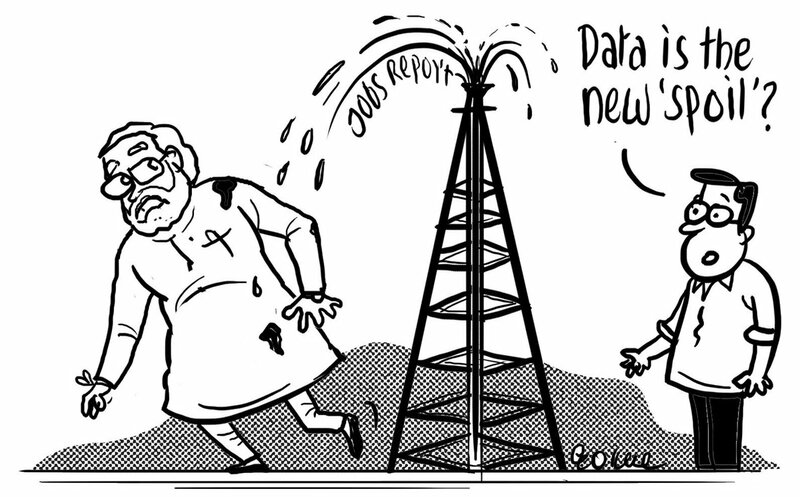 Gokul Gopalakrishnan also takes a jibe at the Modi government over the unemployment report. 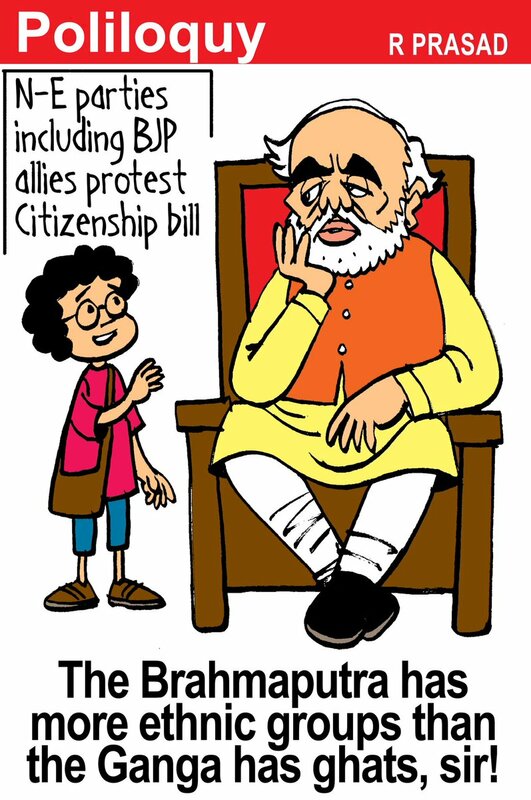 R. Prasad comments on the rising discontent over the Citizenship Bill for its communal bias, as BJP ally JD(U) joins other Northeast parties to vote against the Bill in Rajya Sabha. 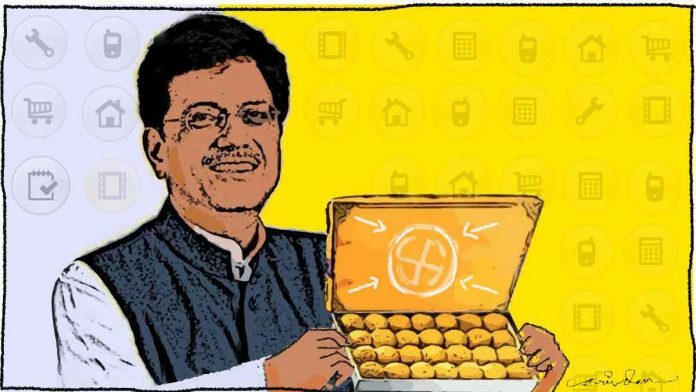 With sops to middle class and farmers, Finance Minister Piyush Goyal’s handed ‘laddoos’ to voters ahead of Lok Sabha elections, says ThePrint’s Arindam Mukherjee.